ROGERS, Ark. – Michelle Wie didn’t let a little thing like a hectic national media tour slow the momentum following her U.S. Women’s Open victory last week at Pinehurst. 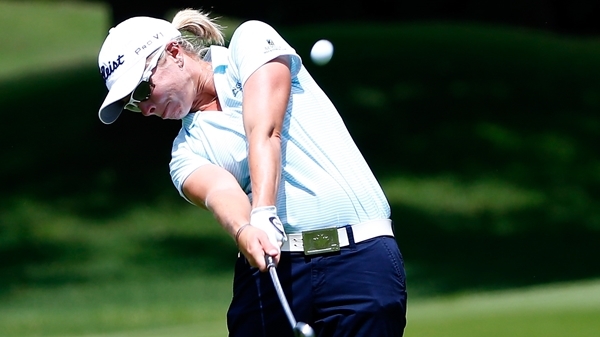 The former prodigy continued her resurgence on the LPGA Tour on Friday, shooting a 5-under 66 to finish a stroke behind leader Alena Sharp after the first round of the NW Arkansas Championship. Wie spent much of her week leading into the tournament busy on the national morning television circuit, only arriving at Pinnacle Country Club on Thursday. 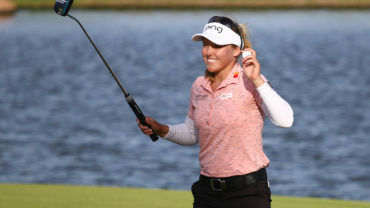 Following a practice round and 12 hours of much-needed sleep, the most recognizable name on the LPGA Tour shot a bogey-free 66 on the 6,375 yard layout – closing with a birdie on the par-5 18th and upstaging local favorite Stacy Lewis. 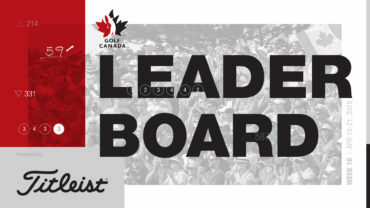 Sharp, the Canadian ranked 234th in the world, had only 27 putts in her opening 65, while Mexico’s Alejandra Llaneza matched Wie with a bogey-free 66. The top-ranked Stacy Lewis, who played at the nearby University of Arkansas, was 2 over after four holes before recovering to finish with a 70. Ten players, including major champions So Yeon Ryu and Shanshan Feng, shot 67. Sharp entered this week having missed the cut in six of her 11 LPGA Tour events this year, though she did win the Symetra Tour’s season-opening event in Arizona in February. 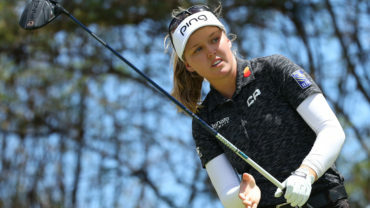 The Canadian entered the week 137th on the LPGA Tour with an average of 31.34 putts per round, but she credited a recently putting lesson for Friday’s improvement. While Sharp controlled the leaderboard following the morning group, Wie overcame windy conditions to post the best round of the afternoon – closing with a 4-under 31 on the back nine. She closed with a birdie on the par-5 18th and needed only 28 putts in her first round since earning her first major championship at Pinehurst. Wie, who was 64th on the LPGA Tour money list in 2012 and 41st last year, has yet to miss a cut this year and leads the money list with nearly $1.6 million. “I just feel comfortable out there, and I’m trying to keep improving a little bit every day and still working on a lot of things,” Wie said. Lewis earned an unofficial win in the rain-shortened event as an amateur in 2007, but the Texas native, who finished second to Wie in the Women’s Open, struggled early on Friday – much to the dismay of her large pro-Razorbacks gallery. She was 2 over after four holes, thanks to a missed 4-foot par putt on No. 2 and a bogey from the greenside bunker on No. 4. Lewis recovered with three birdies to finish 1 under, but she needed 31 putts on her way to settling for a tie for 43rd. European Solheim Cup star Caroline Hedwall also was in the group at 67 along with Jennifer Rosales, Moriya Jutanugarn, Emma Jandel, Gerina Piller, Ji Young Oh, Pornanong Phatlum and Paz Echeverria. Sue Kim of Langley, B.C. 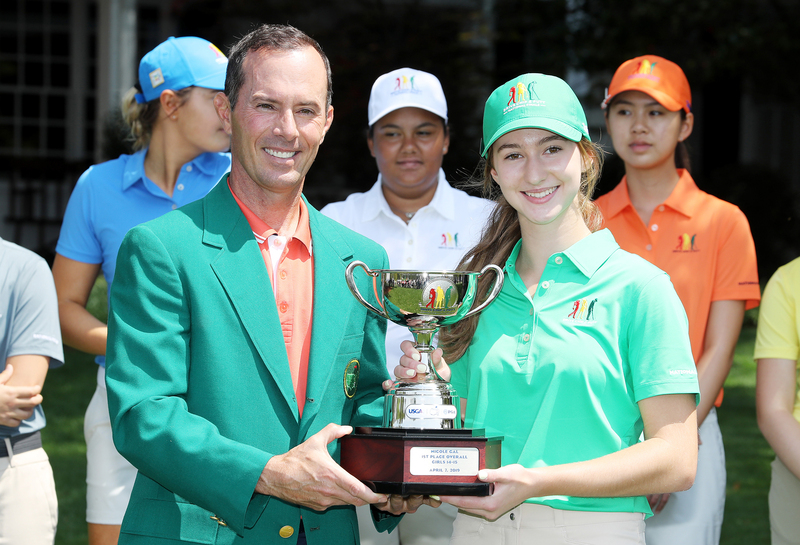 opened with a 1-under 70, while Toronto’s Rebecca Lee Bentham finished at 1-over. Jennifer Kirby of Paris, Ont. shot 73 and Lorie Kane posted a 75.